Book 1: The grand experiment of a democratic Commonwealth of Star Nations has failed. With colony after colony leaving the Commonwealth, Earth finds itself in desperate straits as ecological disaster and mass starvation looms in the near future. The collapse of the Commonwealth means there’s now a power vacuum but no shortage of ruthless egos looking to fill that vacuum. Will it be the Republic of Corona, the most prosperous and populous colony world, or a resurgent Earth under a messianic leader or perhaps a power-hungry interstellar corporation? With stakes this high, political intrigue, backstabbing, and betrayal are par for the course. Book 2: The 10-year-old Tau Ceti Empire is at a critical junction. The power vacuum left over from the collapse of the Commonwealth has been filled by five multi-planet star nations, the TCE being one of them. If the other four join forces and attack the TCE, it will be overwhelmed and crushed. But the longer Empress Brandenburg waits, the bigger the difference in military strength becomes. She must make plans soon because the leaders of the other four are already making theirs. 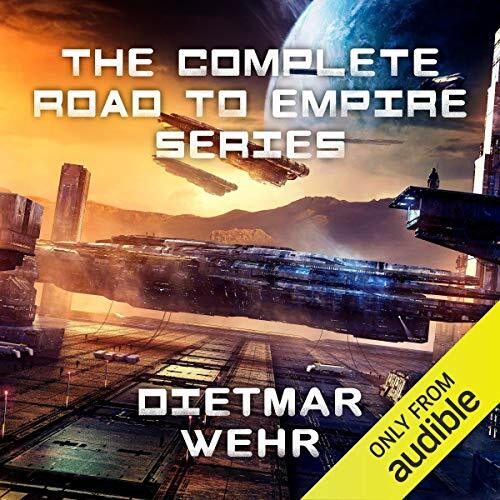 This conclusion to the Road To Empire series features political, military, and personal intrigues that will keep you guessing to the very end. Who will ultimately stand astride a unified human star empire? ©2018 Non-Linear Visions Inc. (P)2019 Audible, Inc.